Craig Stuart of Shade takes some time out of his schedule to answers questions for Tweed. Forever Now, Nowhere Tomorrow was your first and, up to this point, only Lp, released in 2002. From what I have read, it appears Shade has had a long history dating back to the late 1990's. Why did it take so long to put out your first album? If you could, takes us through the origin of the band. Shade has been together since January 1997. We have been recording since the formation of the band. But the recordings previous to “Forever Now, Nowhere Tomorrow” were not released for two reasons. The first was that we felt there was a lack of quality in the recordings. The other reason, more importantly, was a lack of money to actually put those recordings out. Starting in July, you took a multi-month break. Why? Was this time to rest? To record? The break enabled us to focus primarily on recording Fedra. Now, the new Ep Fedra was released October 8th on Lovely Recordings. Tell us a bit about it. How did it come about? How went the recording process? And, what is the significance of the title Fedra? Fedra came out of our need to release something that we were all behind 100%. When we first started recording we thought that we were going to put out two separate Ep’s, but we later felt that they flowed better as one. As for the recording process, to save money we did all of the tracking at our rehearsal space on a 16-track recorder. We then took those tracks to George Bardell @ Mr. Smalls for mixing and mastering. Fedra is the title of the record because it is the name of the radio station in Yugoslavia that first played our debut Lp—it’s kinda like a inside joke between us. Is a follow-up Lp to be expected? Yes, we are definitely going to have a follow-up Lp. We are still writing and recording so dates for a release are still forth coming. Speaking of the album’s genesis, how does Shade’s recording process work? Take us through a typical song-writing process? Is it a collaborative effort? Every part of Shade’s song writing process is a collaborative effort. We have always been able to build or expand on each other’s ideas. This is one of the reasons we all feel so strongly about our music and why we feel that we have been able to stay together as a band. In terms of the lyrics, overall, there is an emphasis on the personal. In such politically and socially contentious times, how do you feel about music that, lyrically, deals with political and social issues? In this Post-9/11 world, what role do you see Indie rock music playing? As a band we do our best to stay away from politics. We feel that everyone needs to be aware and informed because the choices we make now will affect the future. But as a band we don’t feel that it is our position to push our political views on others. 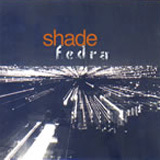 In terms of influences, what specific bands, both current and of day’s past, have been integral to Shade’s sound? The Cure, Sonic Youth, The Jesus and Mary Chain, My Bloody Valentine, The Stooges, and The Velvet Underground. The Pittsburgh Indie scene has been labeled a sort of Brit-rock inspired manifestation. How true is this statement? How is Pittsburgh reshaping that sound? How is Shade putting its own stamp on that sound? Many journalists have type-cast Pittsburgh as a Brit-rock influenced city but we feel that Pittsburgh’s music scene is unique to its self and the bands are influenced by many genres of music. As for Shade, we have always played the music we have felt and we don’t feel that our music fits into one genre. Indie rock music has a tendency to emerge out of neighborhoods in decay, areas formerly of prosperous industry that have given over to squalor and a sort of lifelessness. In New York City, this has happened in the Lower East Side and Williamsburg. We have seen this in L.A., in areas of Chicago and other major cities. It appears that Indie rock thrives on these areas of deviance in these countercultural enclaves. Would you say this is what’s happening today in Pittsburgh? Tell us about the scene and its origins. Right now in Pittsburgh, industry and economy have been struggling. And to combat this feeling of decay, the artist in Pittsburgh have been pulling together to create a scene full of individuals driven to inspire and promote a better Pittsburgh. Do you feel there is a gentrification process occurring in Pittsburgh? Do you feel this budding Indie scene maybe a main perpetuator of that process? What are your feelings on the matter? Yes, we feel that the gentrification process has been occurring in Pittsburgh for several years now and the Indie scene is defiantly a large contributor to the process. There are many different areas in the city where musicians and artist alike have moved in and helped to build up the area. They have started galleries and venues that have generated new business in these areas and have helped in building a stronger community. The band has spoken about camaraderie in the past when referencing the Indie music scene. Is the new record label, Lovely Recordings, a product of this camaraderie? Or is it a way in which to harness that camaraderie? What do you hope to accomplish with the new label? Lovely Recordings is a product of the “camaraderie” in the local music scene and a completely separate entity from Shade. We are very thankful for the work they have done for us especially in Fedra’s release. When you look at other Indie rock labels such as, say, Saddle Creek Records, do you derive inspiration? Or is there some sense of competition? As mentioned above, Lovely Recordings and Shade are two separate entities and we really can’t speak for Lovely but we don’t sense a competitive vibe from them at all, they are working hard in getting a couple of local bands some exposure and we really respect them for it. What can we expect next from Shade? Where is the band going? Shade plans to continue writing and playing live shows with hopes to release another recording in 2005. New York, antiwar, America, Krist Novoselic, peace, Washington, Krist Novoselic, Maura Davis, America, Saddle Creek Records, End report.